Growing up, I was introduced to Aditya Chopra’s cult classic DDLJ pretty late and it had left an indelible mark on my then impressionable mind. Humpty Sharma Ki Dulhania starts in familiar Bollywood rom-com fashion showing a college kid going about the usual tropes. One catch, our hero and stud boy still sheds copious amounts of tears every time the idiot box shows the climax of DDLJ. Enter the “cute, bubbly”, beer guzzling girl who is settling for the boy chosen by her father. The connections to DDLJ are almost hard to overlook. But then there have been several movies along similar lines and the trailers didn’t give the impression that this was going to be a Ship of Theseus or a Lunchbox anyway. Hero meets heroine, friendship blossoms which transforms into love by interval with the couple consummating their relationship. Thank God the director Shashank Khaitan didn’t become a prude to appease Indian sensibilities. What I personally found endearing is that our hero Humpty Sharma isn’t the sharpest knife in the draw. Neither is he the rich, financially stable bloke. Infact he is an average middle class fellow who inspite of all his “misdeeds” actually has a heart of gold and adores his father. The lady love however comes from a moneyed background but again has a heart of gold which sees both lovers doing endearing things for each other out of sheer selfless compassion. So much awwww I tell you! The second half starts with the hero setting out to woo his girl and make her his dulhania by pataoing her entire family. How could it be any other way for such a die-hard DDLJ fan?! Also enter the dulha chosen for our soni kudi, a man who is the epitome of perfection. Humpty’s work get’s even harder, pitted against the poster child for “The Bachelor”. The climax might seem contrived and predictable to many but then this is supposed to be a “happy ending” wali rom-com remember? Now I ain’t no film critic so I won’t go much into the technicalities. Alia Bhat is as usual superb as Kavya Pratap Singh. Her acting graph since Highway has been impressive to say the least. She portrays everything from anger to helplessness to heartbreak to pure cheek with equal aplomb. 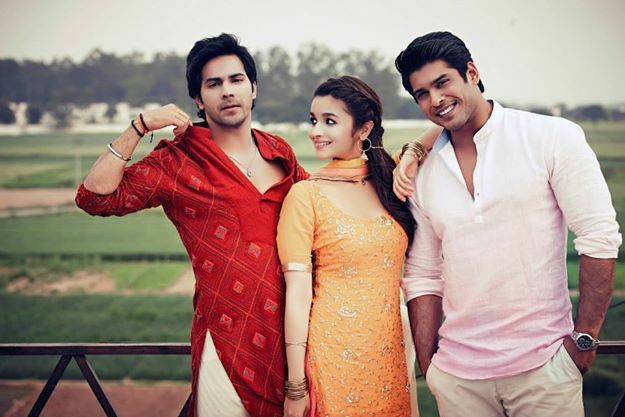 It is however Varun Dhawan’s Humpty Sharma who steals the show. He is charming and passionate in equal measure. He throws in a certain likability and honesty to his character that proves that in the hands of an intuitive director with attention to detail, he will only become stronger as an actor. And this is where director Shashank Khaitan pulls out his trump card. By giving his lead characters these heart-warming scenes which showcase their love ever so seamlessly, entwined with endearing moments that melt your heart. The supporting characters do a brilliant job of holding every scene together. The music compliments the narrative, the dialogues are relatable as is the case with most movies these days. I might be sounding like one of those cheeseballs who weeps in every romantic scene in any movie remotely worth its salt but that’s because I do. Movies like Jab We Met, Love Aaj Kal, Socha Na Thha, Hasee Toh Phasee have entered my list of all time favorite films and joining them would be Humpty Sharma Ki Dulhania. And if it is any reassurance, my friend who watched the movie with me liked it equally if not more. Kya aapko feel-good romantic movies passand hain? Kya aap cheesy dialogues pe rotey hain? Kya aap har baar DDLJ dekh ke khush hotey hain? 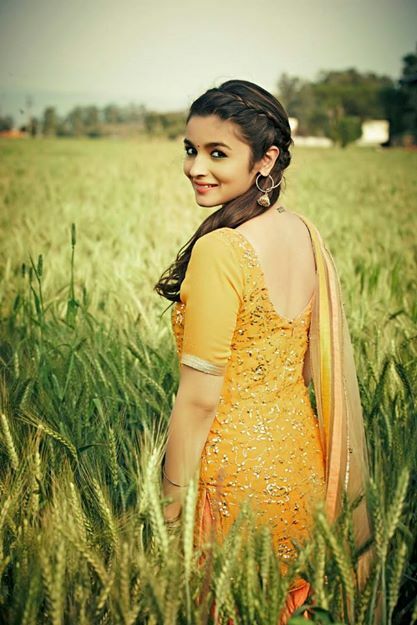 Phir Humpty Sharma Ki Dulhania dekhna toh banta hain boss! Trailer Review: Phata Poster Nikla Hero – Dhathing! Movie Review: Goliyon Ki Rasleela Ram-Leela – Don’t Go By Hearsay! ← An Unequal Harmony – Light Read, Yet On A Serious Subject!